On this page you will be able to view the "scrapbook" photos, which includes head-shots, etc. of the Fugly offspring and their spouses. 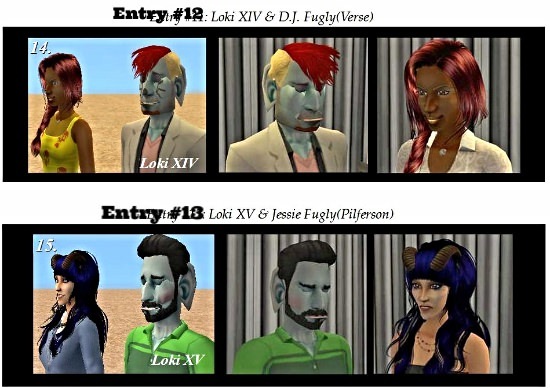 Some sims will have "hair back" shots(along with their everyday looks) as their normal everyday looks don't allow you to see their full glorious faces. 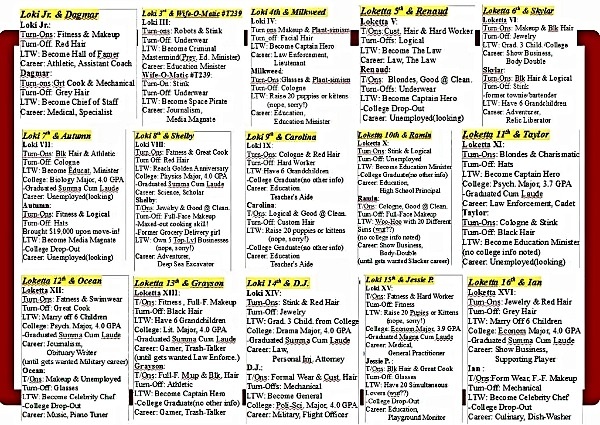 You will also be able to view a (more legible) version of my own notes regarding each couple, for those of you interested in things like their careers, turn-ons, etc. We will also be placing bets as to which couple of all of them will have the ugliest children, which has been set up via 3 polls! There will be plenty of time in which to vote, while I'm busy building houses for those that don't yet have them, and creating offspring. And of course, you are all free to leave your comments here(or at the polls) should you feel the need. 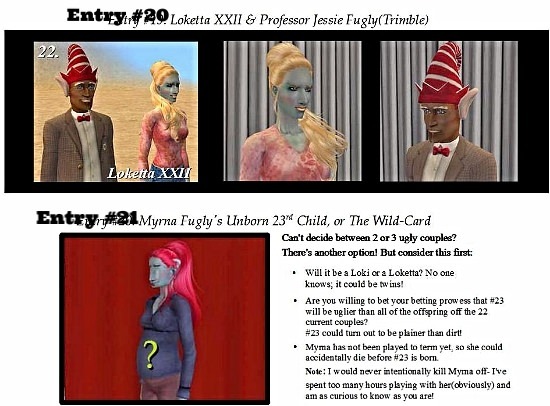 For anyone unfamiliar with Myrna Fugly's Uglacy, which would be a lot of you, since it's undocumented. Prepare Thyself for all of the ugly! The white numbers refer to the order they came in(like the roman numerals do), the Entry # is just that. 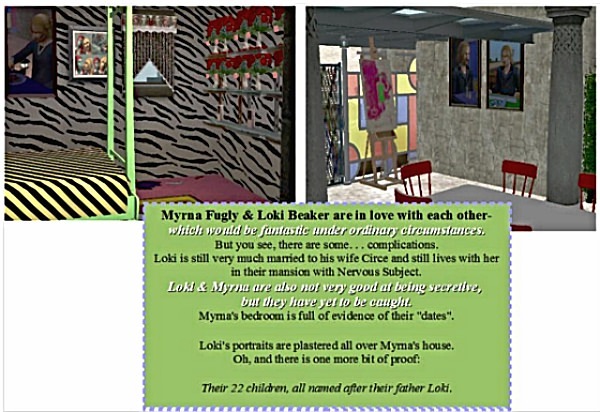 The shots with the flowered wallpaper were taken while those sims were still in college. *The entry-numbers got off by 1 starting at 10, which went unnoticed until the upload. It was faster to just write over the wrong numbers in photobucket. Conspicuously. You can peruse these at a separate time or in a window alongside the photos. Spell-checker marks are still on these as I could find no other way to upload this and keep the look. 22 Kids really is a lot! The originally-planned one poll has been split into 3. Last edited by modelmgt on August 21st, 2018, 10:17 am, edited 14 times in total. 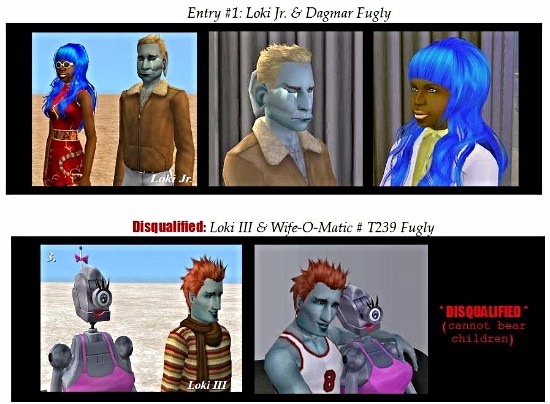 Re: The Fugly Family Scrapbook- Place Your Bets! Take your time with the voting as I will be announcing a deadline at a later date. Have fun everyone! Thanks for voting Bouncer! I didn't think it'd be very easy at all. The mess that Photobucket made is FINALLY fixed! Not only that but home base has been tweaked to be even prettier. Everyone get back out there and do dis! 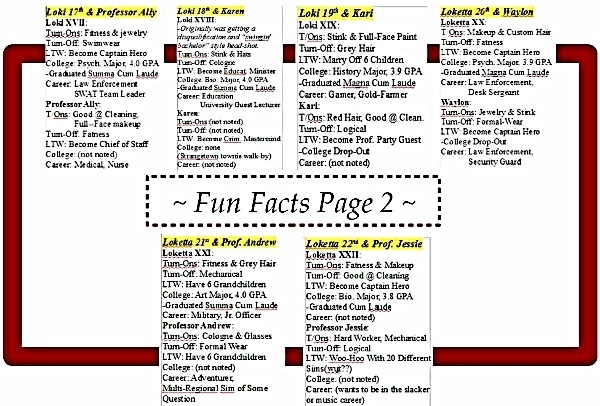 UPDATE 2-12-18: Added a bonus presentation on the Grandkids' 7 Custom Dorms at La Fiesta Tech! There's now a corresponding link above. UPDATE 4-30-2018: What a mess! Got the 7 Fugly Dorms Tour fixed on Slideshare, once I figured out how. There's just no fooling Power-Point, those crafty.. uh, whatevers. UPDATE 5-1-2018: The next lil' bonus-goody is out! How does anyone feel about pet shows? UPDATE 8-17-2018: The toddlers have arrived, and they've brought along a second presentation with some random funny game happenings that I actually have no responsibility for. So many children And I love the naming theme. 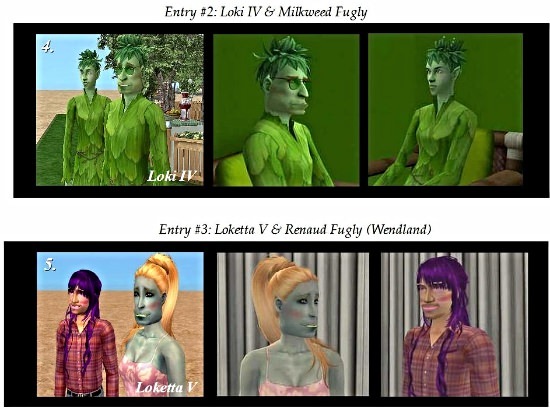 Side note: I'm disturbed by how much Loketta X and Loketta XXI take after their father. I know that is the least disturbing thing to be disturbed about here, but still. ETA: Your pet show post doesn't link to the thread, it just leads me to make a new post in this forum.